The OSSU curriculum is a complete education in computer science using online materials. It's not merely for career training or professional development. It's for those who want a proper, well-rounded grounding in concepts fundamental to all computing disciplines, and for those who have the discipline, will, and (most importantly!) good habits to obtain this education largely on their own, but with support from a worldwide community of fellow learners. It is designed according to the degree requirements of undergraduate computer science majors, minus general education (non-CS) requirements, as it is assumed most of the people following this curriculum are already educated outside the field of CS. The courses themselves are among the very best in the world, often coming from Harvard, Princeton, MIT, etc., but specifically chosen to meet the following criteria. When no course meets the above criteria, the coursework is supplemented with a book. When there are courses or books that don't fit into the curriculum but are otherwise of high quality, they belong in extras/courses or extras/readings. Duration. It is possible to finish Core CS within about 2 years if you plan carefully and devote roughly 18-22 hours/week to your studies. Courses in Core CS should be taken linearly if possible, but since a perfectly linear progression is rarely possible, each class's prerequisites is specified so that you can design a logical but non-linear progression based on the class schedules and your own life plans. Cost. All or nearly all course material prior to Pro CS is available for free. However, some courses may charge money for assignments/tests/projects to be graded. Note that Coursera offers financial aid. Decide how much or how little to spend based on your own time and budget; just remember that you can't purchase success! Process. Students can work through the curriculum alone or in groups, in order or out of order. For grouping up, please use the cohorts repository to find or create a cohort suited to you. We recommend doing all courses in Core CS, only skipping a course when you are certain that you've already learned the material previously. For simplicity, we recommend working through courses (especially Core CS) in order from top to bottom, as they have already been topologically sorted by their prerequisites. Courses in Advanced CS are electives. Choose one subject (e.g. Advanced programming) you want to become an expert in, and take all the courses under that heading. You can also create your own custom subject, but we recommend getting validation from the community on the subject you choose. Content policy. If you plan on showing off some of your coursework publicly, you must share only files that you are allowed to. Do NOT disrespect the code of conduct that you signed in the beginning of each course! How to contribute. Please see CONTRIBUTING. Getting help. Please check our Frequently Asked Questions, and if you cannot find the answer, file an issue or talk to our friendly community! Core CS assumes the student has already taken high school math and physics, including algebra, geometry, and pre-calculus. Some high school graduates will have already taken AP Calculus, but this is usually only about 3/4 of a college calculus class, so the calculus courses in the curriculum are still recommended. Advanced CS assumes the student has already taken the entirety of Core CS and is knowledgeable enough now to decide which electives to take. Note that Advanced systems assumes the student has taken a basic physics course (e.g. AP Physics in high school). This course will introduce you to the world of computer science. All coursework under Core CS is required, unless otherwise indicated. Required to learn about monads, laziness, purity: Learn You a Haskell for a Great Good! Required, to learn about logic programming, backtracking, unification: Learn Prolog Now! 1: Students struggling with MIT Math for CS can consider taking the Discrete Mathematics Specialization first. It is more interactive but less comprehensive, and it costs money to unlock full interactivity. Recommended: While Hack the Kernel recommends Modern Operating Systems as a textbook, we suggest using Operating Systems: Three Easy Pieces. After completing every required course in Core CS, students should choose a subset of courses from Advanced CS based on interest. Not every course from a subcategory needs to be taken. But students should take every course that is relevant to the field they intend to go into. The Advanced CS study should then end with one of the Specializations under Advanced applications. A Specialization's Capstone, if taken, may act as the Final project, if permitted by the Honor Code of the course. If not, or if a student chooses not to take the Capstone, then a separate Final project will need to be done to complete this curriculum. These Coursera Specializations all end with a Capstone project. Depending on the course, you may be able to utilize the Capstone as your Final Project for this Computer Science curriculum. Note that doing a Specialization with the Capstone at the end always costs money. So if you don't wish to spend money or use the Capstone as your Final, it may be possible to take the courses in the Specialization for free by manually searching for them, but not all allow this. OSS University is project-focused. You are encouraged to do the assignments and exams for each course, but what really matters is whether you can use your knowledge to solve a real world problem. After you've gotten through all of Core CS and the parts of Advanced CS relevant to you, you should think about a problem that you can solve using the knowledge you've acquired. Not only does real project work look great on a resume, but the project will also validate and consolidate your knowledge. You can create something entirely new, or you can find an existing project that needs help via websites like CodeTriage or First Timers Only. Another option is using the Capstone project from taking one of the Specializations in Advanced applications; whether or not this makes sense depends on the course, the project, and whether or not the course's Honor Code permits you to display your work publicly. In some cases, it may not be permitted; do not violate your course's Honor Code! Put the OSSU-CS badge in the README of your repository! Upon completing your final project, submit your project's information to PROJECTS via a pull request and use our community channels to announce it to your fellow students. Your peers and mentors from OSSU will then informally evaluate your project. You will not be "graded" in the traditional sense — everyone has their own measurements for what they consider a success. The purpose of the evaluation is to act as your first announcement to the world that you are a computer scientist and to get experience listening to feedback — both positive and negative — and taking it in stride. The final project evaluation has a second purpose: to evaluate whether OSSU, through its community and curriculum, is successful in its mission to guide independent learners in obtaining a world-class computer science education. You can create this project alone or with other students! We love cooperative work! Use our channels to communicate with other fellows to combine and create new projects! 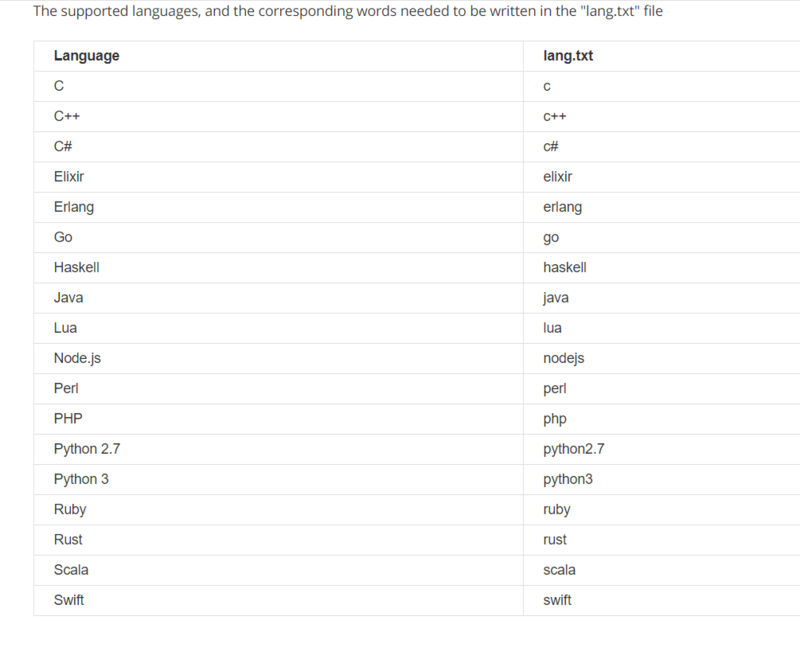 Which programming languages should I use? My friend, here is the best part of liberty! You can use any language that you want to complete the final project. The important thing is to internalize the core concepts and to be able to use them with whatever tool (programming language) that you wish. After completing the requirements of the curriculum above, you will have completed the equivalent of a full bachelor's degree in Computer Science, or quite close to one. You can stop in the Advanced CS section, but the next step to completing your studies is to develop skills and knowledge in a specific domain. Many of these courses are graduate-level. Look for a job as a developer! Check out the readings for classic books you can read that will sharpen your skills and expand your knowledge. Join a local developer meetup (e.g. via meetup.com). Explore the actor model through Elixir, a new functional programming language for the web based on the battle-tested Erlang Virtual Machine! Explore borrowing and lifetimes through Rust, a systems language which achieves memory- and thread-safety without a garbage collector! Explore dependent type systems through Idris, a new Haskell-inspired language with unprecedented support for type-driven development. Use our forum if you need some help. You can also interact through GitHub issues. We also have a chat room! Add Open Source Society University to your Linkedin profile! PS: A forum is an ideal way to interact with other students as we do not lose important discussions, which usually occur in communication via chat apps. Please use our forum for important discussions. Create an account in Trello. Copy this board to your personal account. See how to copy a board here. Now that you have a copy of our official board, you just need to pass the cards to the Doing column or Done column as you progress in your study. Main Curriculum: cards with that label represent courses that are listed in our curriculum. Extra Resources: cards with that label represent courses that were added by the student. Doing: cards with that label represent courses the student is current doing. Done: cards with that label represent courses finished by the student. Those cards should also have the link for at least one project/article built with the knowledge acquired in such course. Section: cards with that label represent the section that we have in our curriculum. Those cards with the Section label are only to help the organization of the Done column. You should put the Course's cards below its respective Section's card. The intention of this board is to provide our students a way to track their progress, and also the ability to show their progress through a public page for friends, family, employers, etc. You can change the status of your board to be public or private.